Parentheses have a place – but not on your face! Juvederm XC™ is a smooth injectable gel that our surgeons recommend to instantly smooth out those lines on the side of your nose and mouth. Juvederm XC™ achieves long-lasting results by restoring volume to facial wrinkles and folds. This smoothes them out and restores a more youthful contour. Juvederm XC™ is the most advanced form of non-animal based hyaluronic acid. With only one treatment, patients of all color and all skin tones see amazing, more enduring results without the increased risk of hyperpigmentation or hyper-tropic scarring. Juvederm XC™ Ultra and Ultra Plus formulas are the first FDA approved hyaluronic acid dermal fillers for safe, effective treatment in persons of color and all skin tones. The advanced scientific technique used to produce this smooth gel, in two strengths, allows for treatment of more difficult folds and wrinkles with less discomfort during treatments. So we have more options – greater versatility – and varying depths of injections. Every wrinkle and fold from the forehead to the jaw can be an option for Juvederms’ cutting edge – anti-aging treatments. A very tiny needle is used to inject precise amounts of Juvederm XC™ into specified sites. Juvederms new, smooth gel flows easily and consistently into the skin so you will experience little to no discomfort. Dr. Davison, Dr. Pinell, their nurse practitioner, or their physician assistant will use either Juvederm XC™ Ultra or Juvederm Ultra Plus depending upon your needs. What makes Juvederm XC™ different from other dermal fillers today? What areas are treated with Juvederm XC™ ? All areas of the face and jaw line that need to be rejuvenated can be treated with Juvederm XC™ to smooth away wrinkles, folds and to restore volume and contour. What’s the difference between the two Juvederm XC™ formulas? The Juvederm XC™ Ultra gel allows for more versatility in restoring contour and volume to your face while smoothing away wrinkles and folds. Juvederm XC™ Ultra Plus is a more robust formula, which allows for treatment of deeper wrinkles and folds while also restoring volume and contour. Why is Juvederm XC™ suitable for persons of color and different skin tones? Because of the new, advanced formulation there is no risk of hyper-pigmentation and/or hyper-tropic scarring. It has been FDA approved for people of all skin colors and tones. How does Juvederm XC™ differ from Botox Cosmetic®? What is hyaluronic acid and cross-linking? Hyaluronic acid is a naturally occurring substance in all living cells that helps keep the skin hydrated. Hyaluronic Acid absorbs water like a sponge absorbing more than 100 times its weight. As we age, production slows down and lines, wrinkles and folds begin to appear. Cross-linking is a unique manufacturing process that makes Juvederm XC™ so effective and longer lasting. Are Juvederm XC™ treatments painful and how long does it take? Since it is a smooth gel that flows easily and consistently into the skin, there is little to no discomfort. Other dermal fillers which are granular and do not flow smoothly and consistently into the skin can cause this discomfort. A treatment generally takes 15 minutes or more. Results last 6 months or longer. Follow-up treatments may be needed for maintenance. Will insurance cover my Juvederm XC™ treatments? No. Insurance does not cover cosmetic procedures. 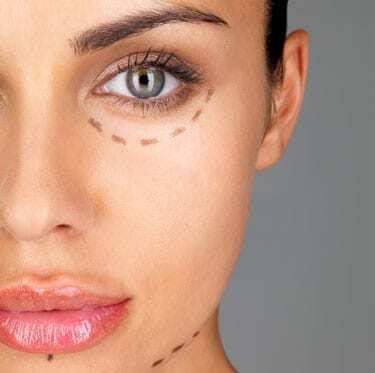 However, there is financing available today for cosmetic procedures. Ask about it in our business office. Who will perform my Juvederm treatment? Dr. Davison, Dr. Pinell, their nurse practitioner, or their physician assistant have many years of experience, are specially trained and highly skilled in performing all dermal injection procedures. This is very important to avoid possible side-effects and poor outcomes. Injectable treatments require great skill and an artistic eye.